Hi Konstantinos! Can you give us a brief overview of what to expect on Friday night? Friday night we (The Queer Archive) join forces with Rio Cinema and Dalston Superstore for the UK premier of my first feature film He loves me a Greek/UK production. Along with my film we present two Greek short films by Yorgos Angelopoulos and Thanasis Tsimpinis. A Man to Pet with be the hostess, I will play some music and have lots of wine at Superstore before the screening and we will join Mints after the screening for a much needed plate-breaking session. Rio Cinema and Dalston Superstore are two venues very close to my heart and He loves me was conceived and inspired by events, affairs and heartbreaks that happened in and around Dalston. So it makes total sense to show the film here. It’s like the murderer going back to the crime scene. What are your earliest memories of film? I remember Hammer Horror and Amicus Horror films. Both British production companies that made amazing horror films in the 70s. I remember finding the VHS of Monster’s Club in my parents drawer and watching it when i was 5 or 6. I remember The Exorcist, Who’s that girl… I remember the smell of plastic at the video store in my neighbourhood. What was your journey to become a film-maker? I studied fine arts and not film. I have always been too intimidated by the world of film. I always thought it was such a huge thing and that i could never be good enough to ever make a film. I was making shorts and working on abstract ideas and forms until i finally found the strength to make my first feature. Now i know that there is not one way of making films. It can be a personal and creative process that doesn’t necessarily involve a huge set and crew and a lot of stress. What inspired He Loves Me? It was a personal need to tell some stories based on my own experiences. It all became too confusing – relationships turned from innocent fun to heartbreaking nightmares, London was getting harder and harder and communication was very problematic. But i still had to share my thoughts and get a response so it was natural to me to put these thoughts into the film. It is an homage to the relationships that shaped me. Can you tell us a little about the people behind the other two films? The other two films are directed by Yorgos Angelopoulos and Thanasis Tsimpinis. 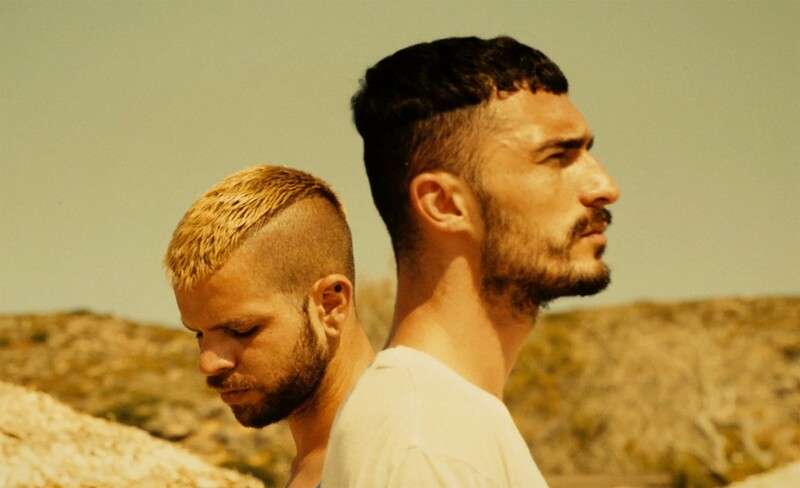 Both of them are young directors based in Athens. Their films are amazing and their language is universal, thats why i thought it would be great to show them at our screening in London. There is a queer cinema scene in Athens inspired by this whole Greek cinema renaissance thats been happening the last ten years and it actually feels great to be a part of it. Given the current political climate in Greece, and across much of Europe, why do you think it’s so important to keep making work about our queer identities? It’s crucial to keep on having a strong voice and presence because there is still – and probably will always be – a force against the queer community. We need to keep our queer history safe, we need to keep on evolving, creating and celebrating our beautiful existence though making work that reveals the truth behind the lies and shows that love is not something that anyone should be afraid of. For more info on the event check here. For the afterparty check here.